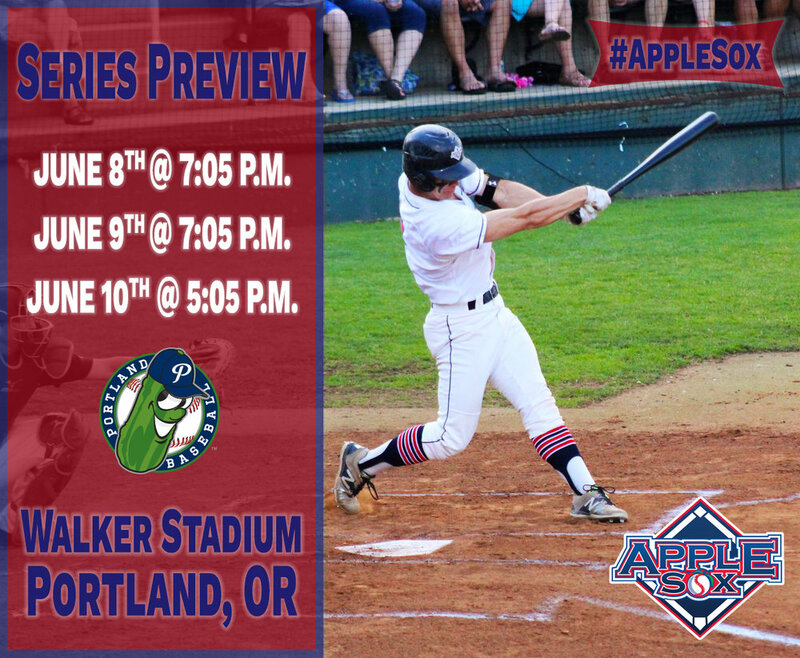 After taking two of three from three different non-league opponents at Paul Thomas Senior Stadium this past weekend, the AppleSox are back on the road for a seven-game road trip. The journey begins with three games against the Portland Pickles this weekend. Friday will mark the first time that the AppleSox and Pickles have ever met head-to-head. The Pickles, founded in 2015, played their first two seasons in the Great West League before joining the West Coast League this season. The AppleSox defeated the Highline Bears 8-3 last night at Paul Thomas Senior Stadium. Tyson Yamane allowed one run over seven innings to record the fourth quality start by AppleSox pitching through six games this season. At the plate, first baseman Sam Swenson homered and doubled in the fourth straight game that the AppleSox scored seven or more runs. In three of the last four games an AppleSox opponent has committed four or more errors in a game and Wenatchee has won all three of those games. Sunday, the AppleSox capitalized on six errors by the Victoria HarbourCats en route to a 14-2 victory. Five errors by the Northwest Honkers on Wednesday led to a 9-2 AppleSox victory and the Highline Bears committed four errors on Thursday in the AppleSox' 8-3 win. The AppleSox are looking for a monumental win tonight. If Wenatchee defeats Portland, then it will pick up its 600th win in franchise history. The AppleSox, established in 2000, are in their 19th season of play.